Dental X-rays will be captured and examined. These images are critical because they allow our doctors to view areas of decay, cysts, tumors, and potential bone loss that are all inaccessible to the naked eye. They also provide a clear understanding of the positioning of your teeth and roots, which can be beneficial when planning certain procedures like surgical dental implant placement. An oral cancer screening will reveal any potentially cancerous areas of tissue that need further inspection. We will perform a comprehensive review of the soft tissues, the tongue, the lips, the neck, and the overall facial structure. Your soft and hard tissue will be examined for potential damage caused by periodontal disease. Each tooth will be carefully reviewed with a visual examination to determine whether any decay or damage is present that requires further attention. 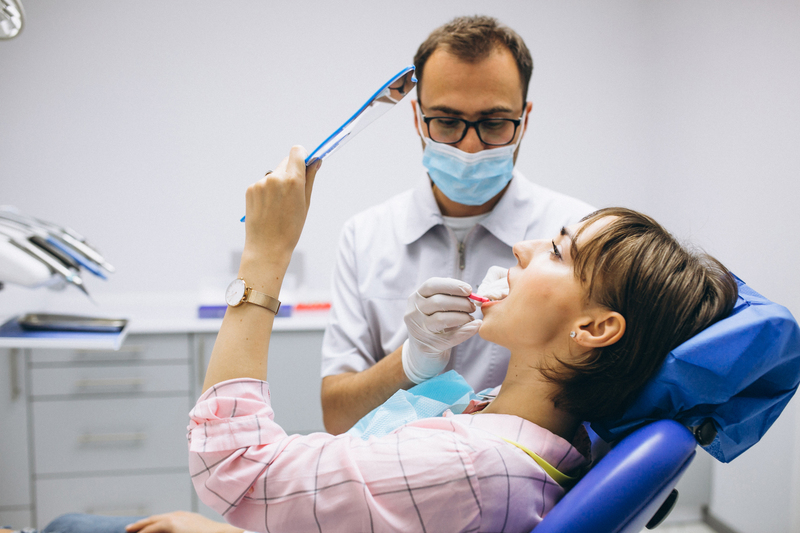 Any existing restorations (including dental crowns, fillings, and custom prosthetics) will be inspected to ensure that they are still functioning properly. Please contact any of our three locations in Pembroke Pines, Miami Lakes and Coral Gables FL, today if you have any questions we can address for you, or if you are ready to schedule a comprehensive consultation.